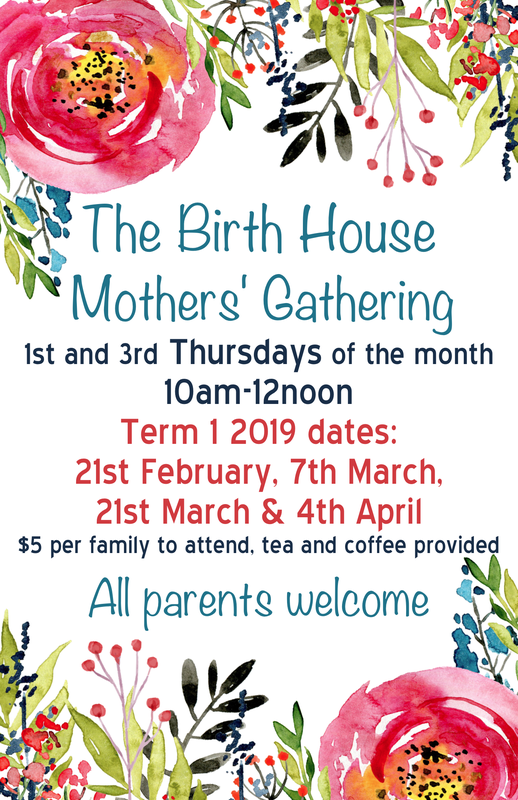 In 2019, The Birth House Mothers’ Gathering will be meeting on the first and third Thursday of each month, in school terms, from 10am until 12noon. Our Mothers’ Group is facilitated by midwives Pia Croft and Judy van Dreven. Cost is $5 per session, per family. Tea and coffee are provided. The Birth House Mothers’ Group is open to all members of The Birth House community, regardless of care provider and place of birth. All are welcome.